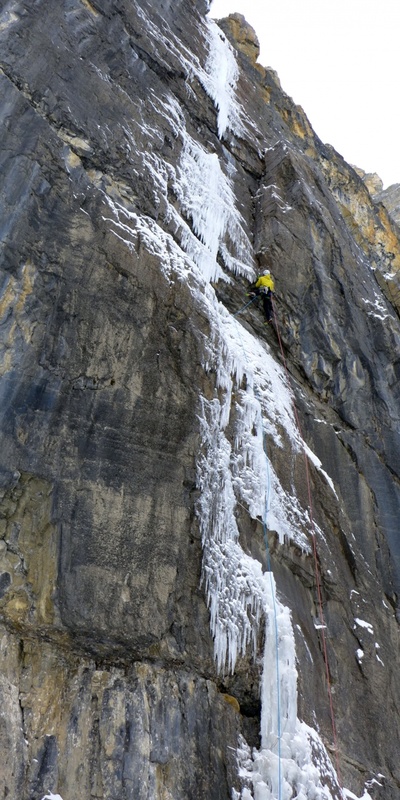 Raphael Slawinski, Nick Bullock and Bayard Russell tackle the Stanley Headwall, just outside Banff National Park in British Columbia. 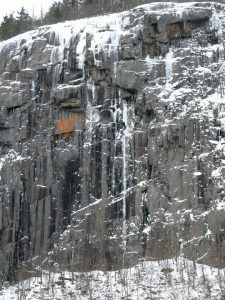 Home to a number of the Rockies’ best-known ice and mixed routes, the Stanley Headwall is a truly spectacular venue. 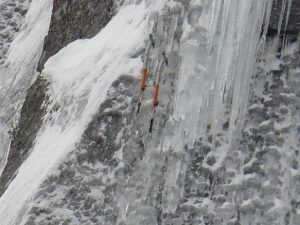 Joe Josephson’s guide says it best: “Every major route on the wall is sustained, technically difficult, and contains sections of serious climbing.” (mountainproject.com) Our own Bayard Russell brings his northeast climbing skills to the big mountains of B.C. 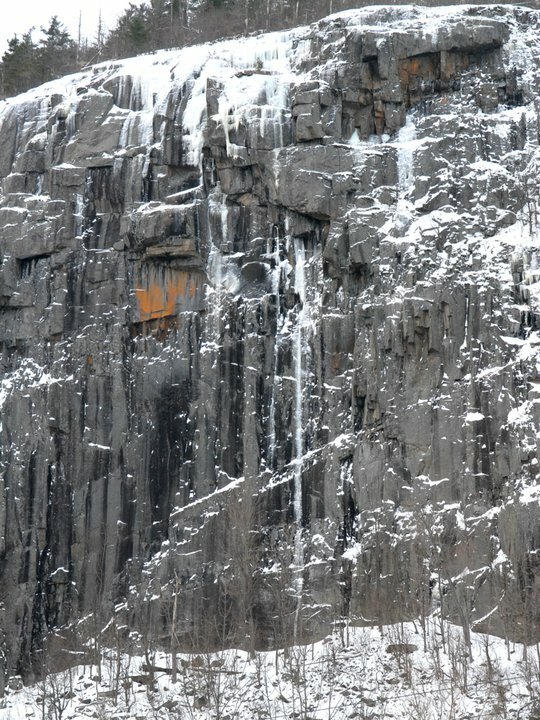 The Sound and the Fury is a rare former on the Stanley Headwall reminiscent of an early season route you might find in miniature at Cathedral, Frankenstein or Poke-O. Bayard Russell is an NEice Ambassador and part owner of CATHEDRAL MOUNTAIN GUIDES. 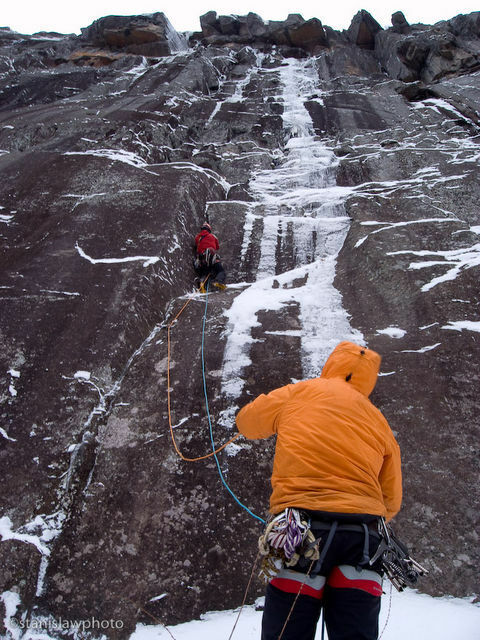 Cathedral Mountain Guides is a New Hampshire climbing guiding service founded in 2008 by American Mountain Guide Association certified guide Bayard Russell, Jr. and now run in partnership with local guide, accomplished alpinist and Piolet d’Or Recipient, Freddie Wilkinson.